Northwestern Memorial HealthCare (NMHC) has been recognized by Working Mother magazine as one of the 2017 “Working Mother 100 Best Companies” for its outstanding leadership of women’s advancement in creating progressive programs for its work force, such as flexible work hours, convenient and affordable child care and paid parental leave. This is the 18th consecutive year that NMHC has been recognized. 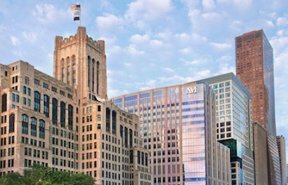 “We are proud to once again be recognized for our commitment to providing a work environment that ensures our physicians, nurses and staff can develop meaningful careers and lead satisfying lives,” said Dean M. Harrison, President and Chief Executive Officer, Northwestern Memorial HealthCare. “When our working parents feel supported they can focus on providing our patients with the highest quality, compassionate care.” The Working Mother Research Institute ranks data provided on a detailed application of more than 400 questions in the following clusters: paid time off and leave, workforce profile, benefits, women’s issues and advancement, flexible work and company culture and work life programs. It surveys the availability and usage of programs, as well as the accountability of managers who oversee them.